February 6, 2019. 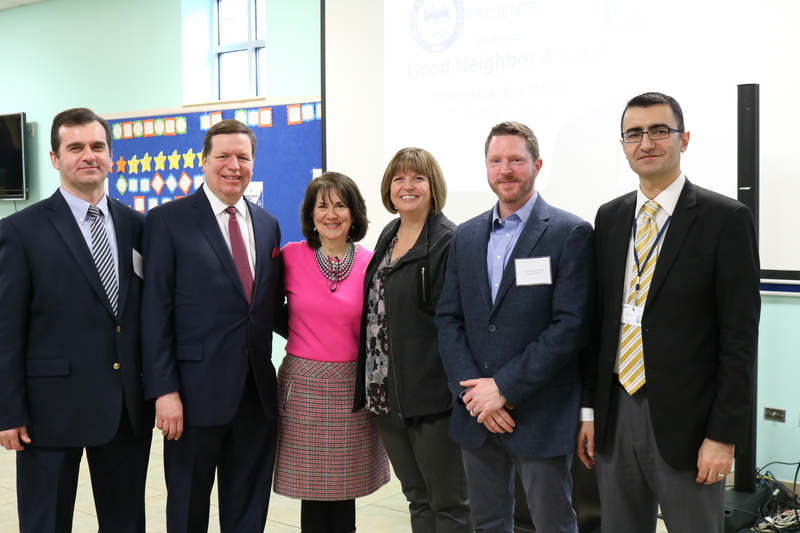 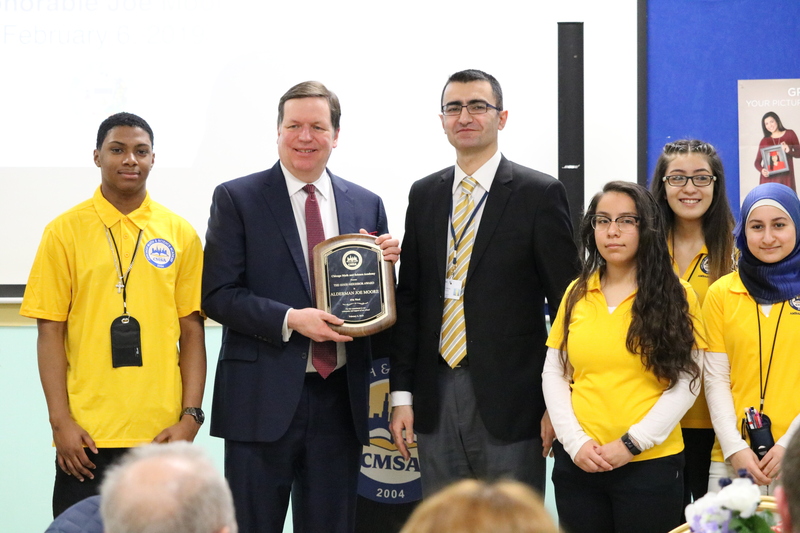 It was a packed house in our cafeteria this morning as CMSA honored Alderman Joe Moore with our Good Neighbor Award. 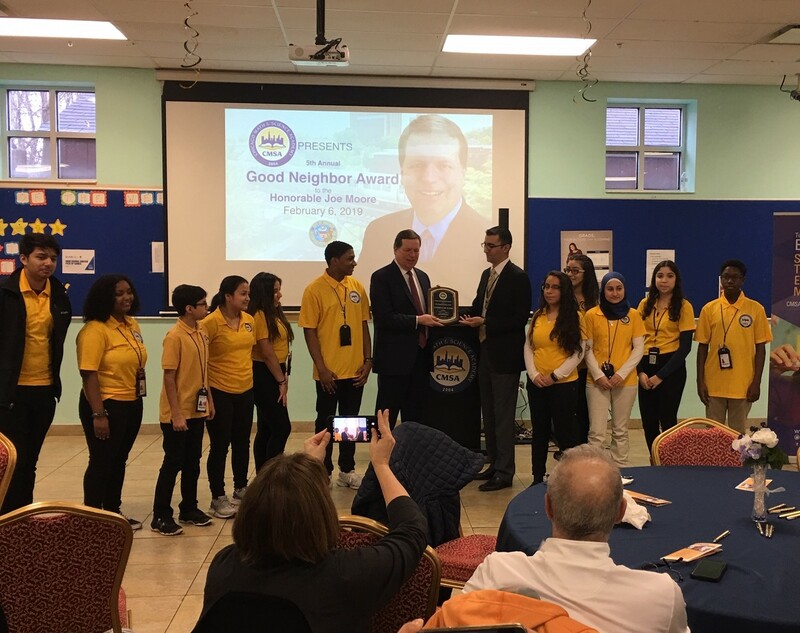 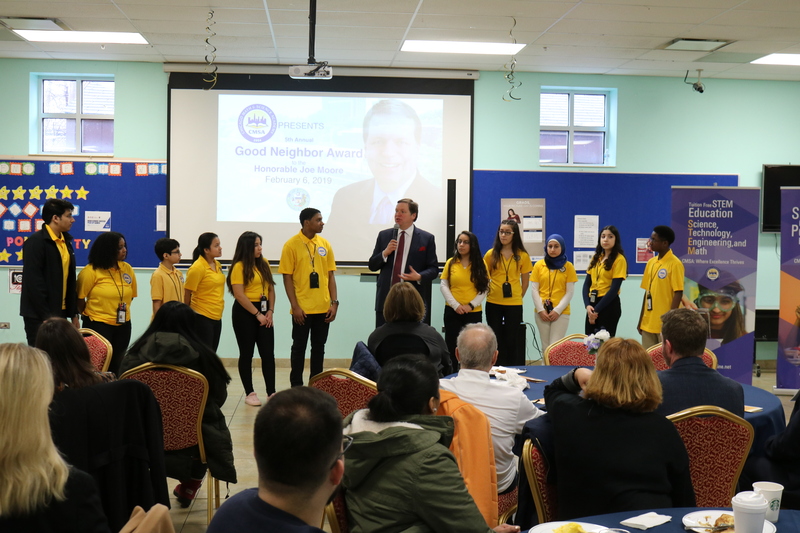 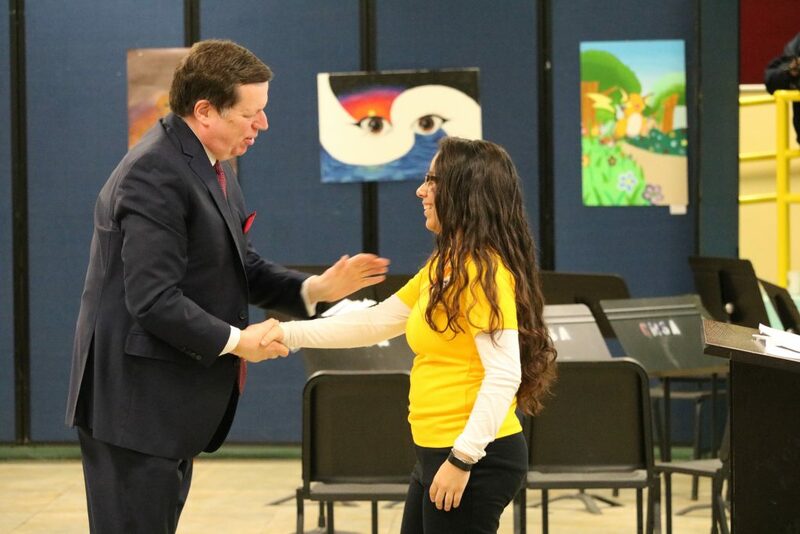 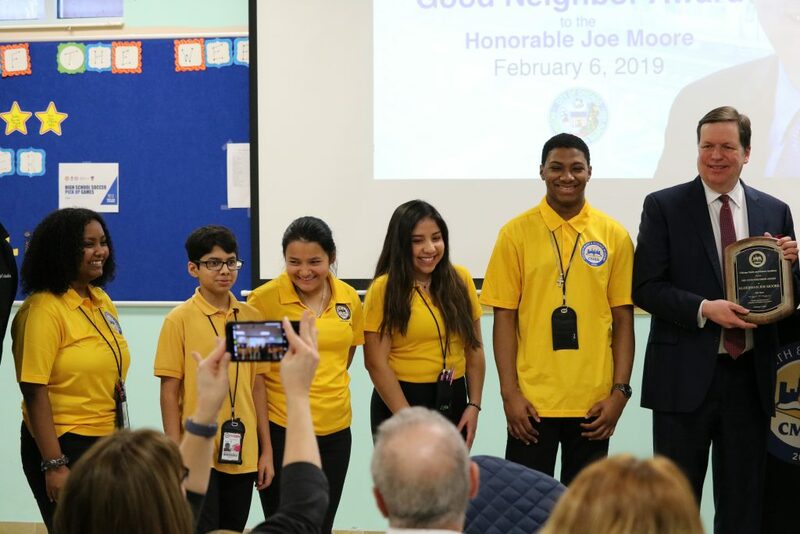 Community leaders, staff, and students paid tribute to Joe’s illustrious career and sang his praises regarding all the good things he has done for the Rogers Park community. 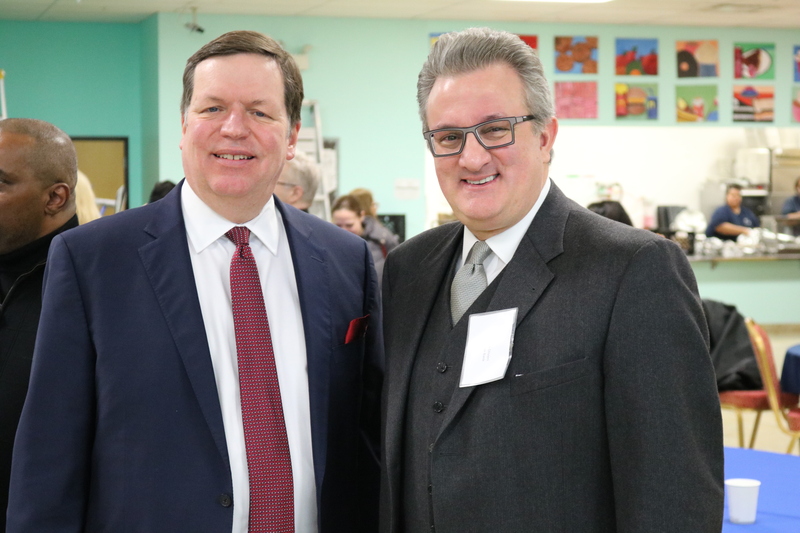 Thank you, Alderman Moore, for everything you’ve done to make Rogers Park the wonderful community it is today.